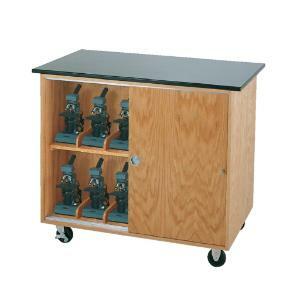 This cabinet provides a safe, convenient way to store up to 24 standard classroom microscopes. It's made of solid hardwood, solid oak, and oak veneers and finished in a natural, transparent finish. It features unbreakable aluminum glides for both the front and back swinging doors and rolls on heavy-duty swivel casters with brakes. 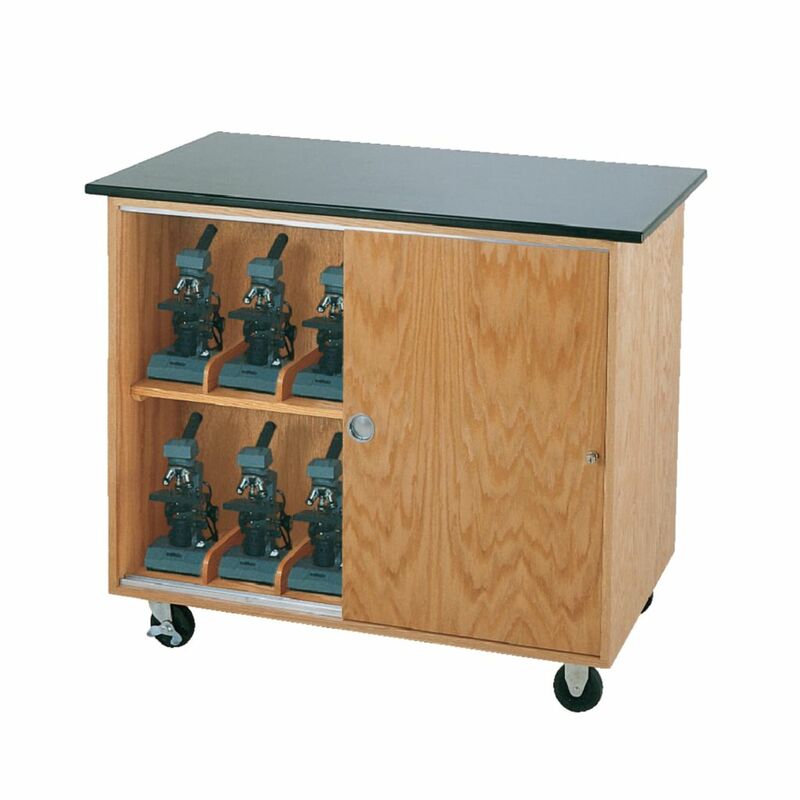 The cabinet contains removable partitions to provide an individual space for microscopes. The 1¼", plastic-laminate top also serves as an auxiliary work surface.